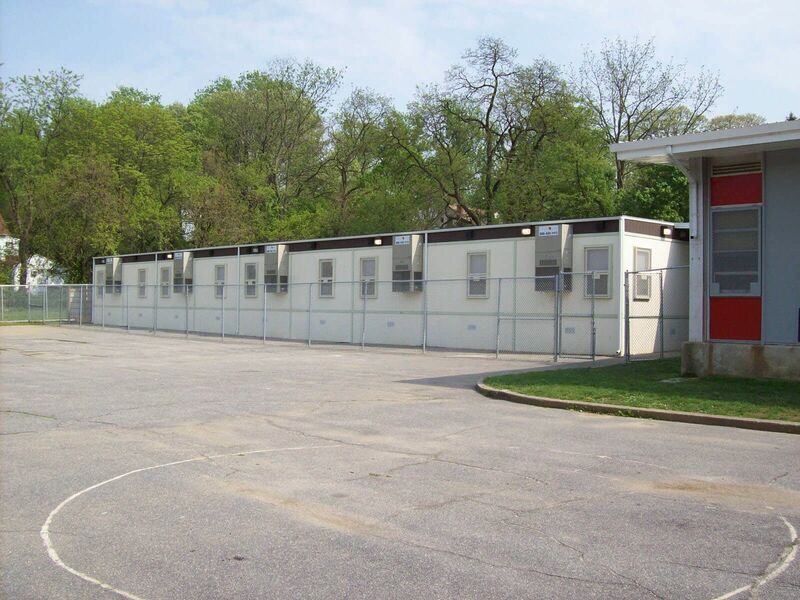 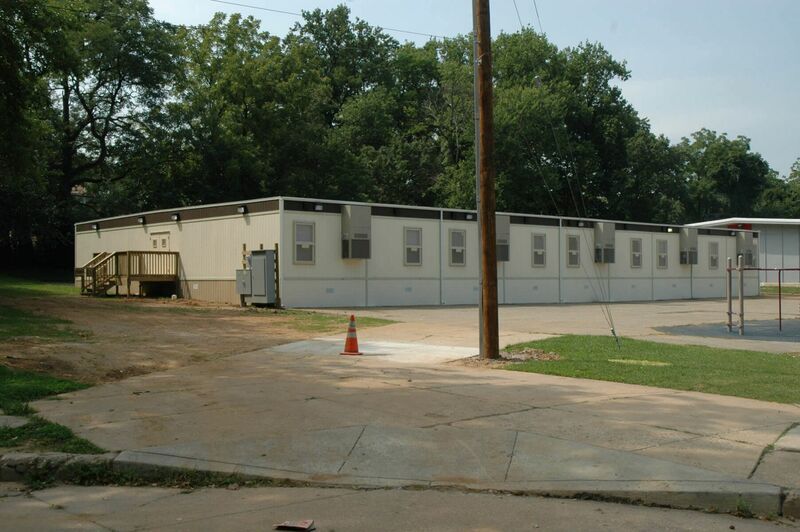 Baltimore City Public School System was in need of a temporary modular classroom building to assist with overcrowding at Grove Park Elementary School. 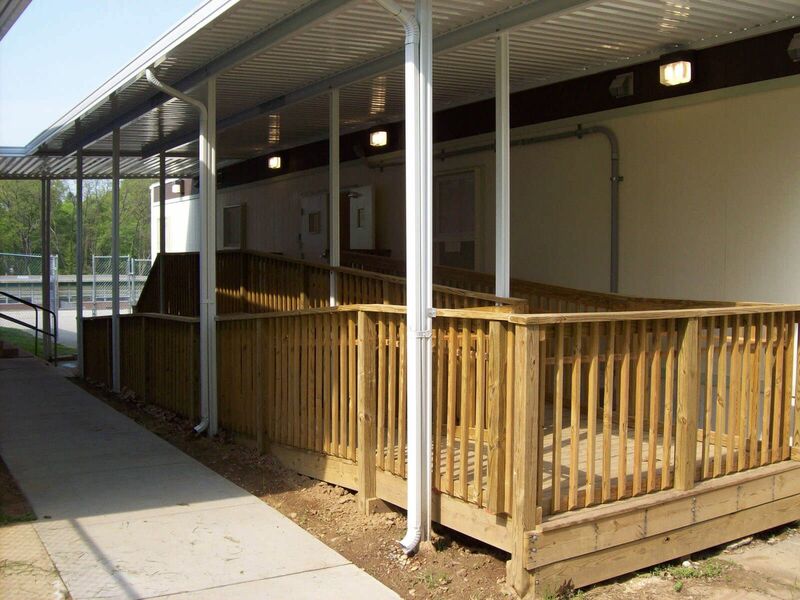 The school district and local community were very concerned about the aesthetics of the building; therefore, a light color exterior scheme was selected with a smart panel siding. 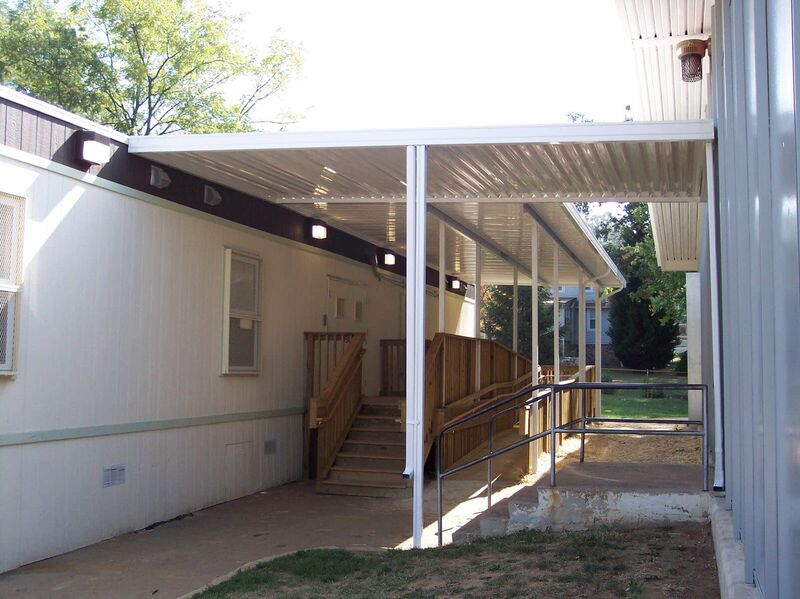 The security of the building was also a major concern; so security screens were required to protect the windows. 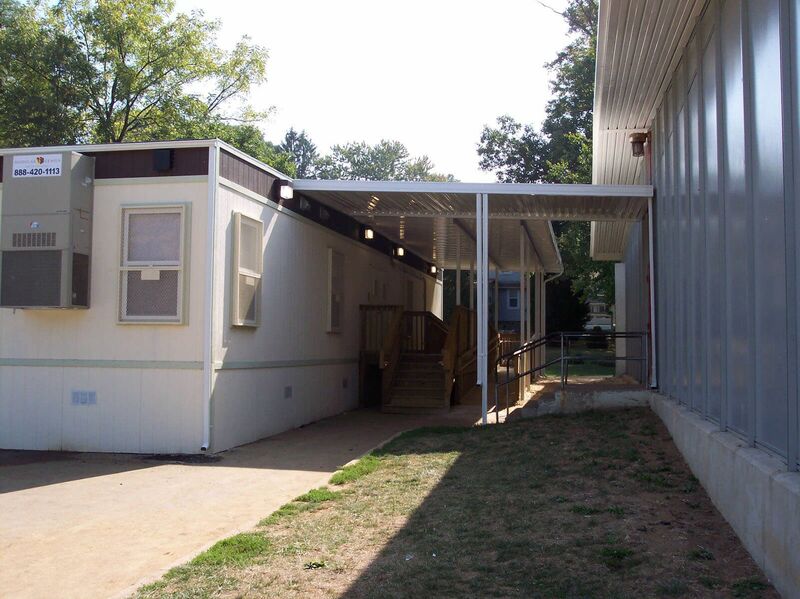 The screens were designed to be egress “accessible type” screens with a latch from the inside for easy emergency access. 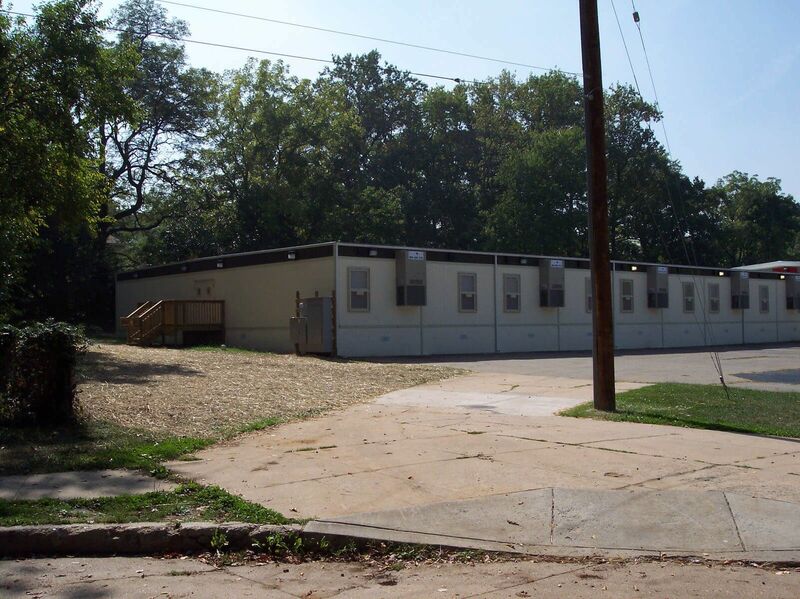 Aesthetically the screens were painted to match the exterior of the building, so they did not look like the less appealing cumbersome black screens. 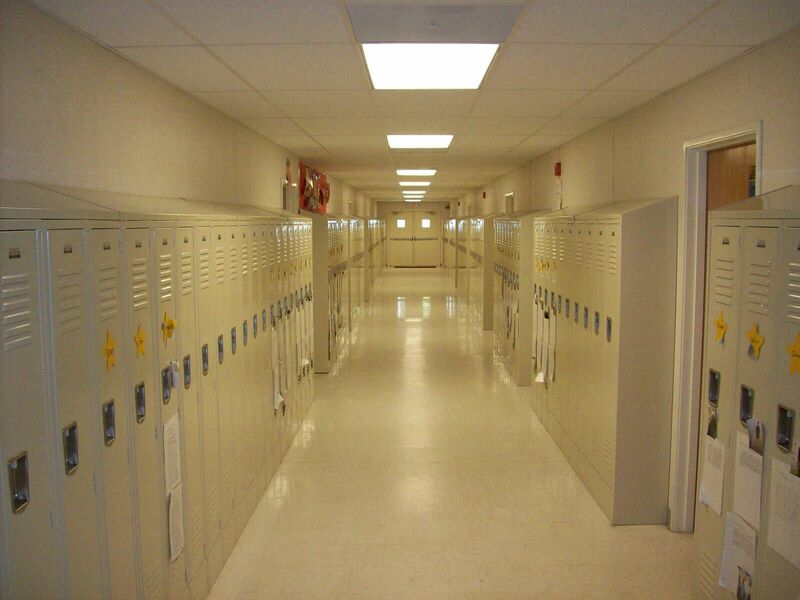 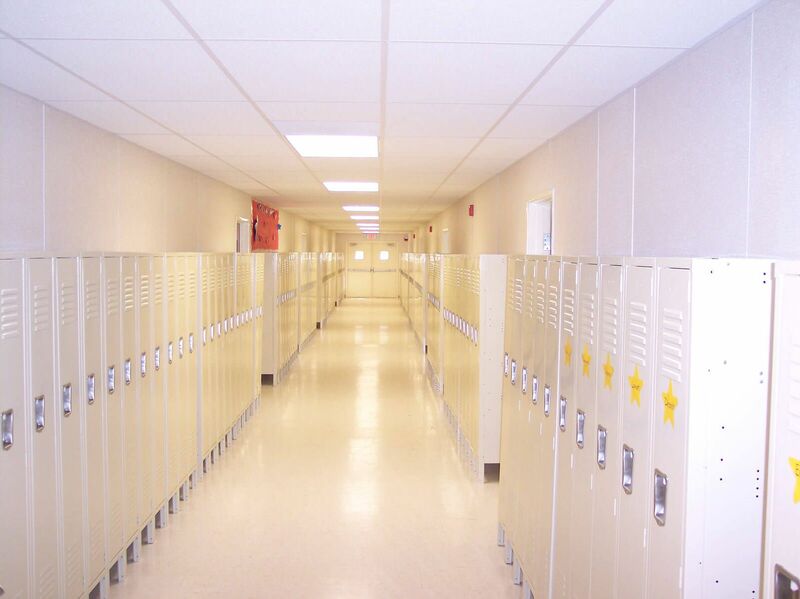 The hallways had T-Grid acoustical ceiling installed for ease of running low voltage (phone, data, security, intercom and fire alarms) in the ceiling cavity. 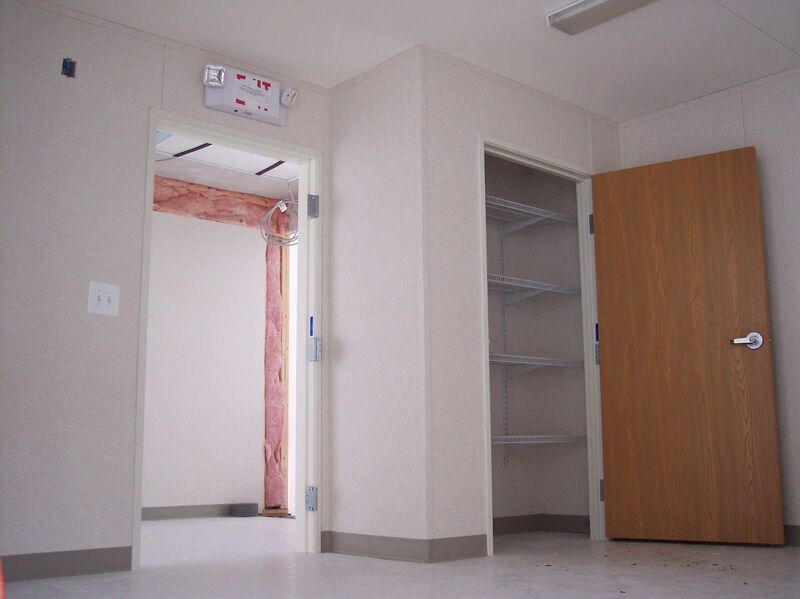 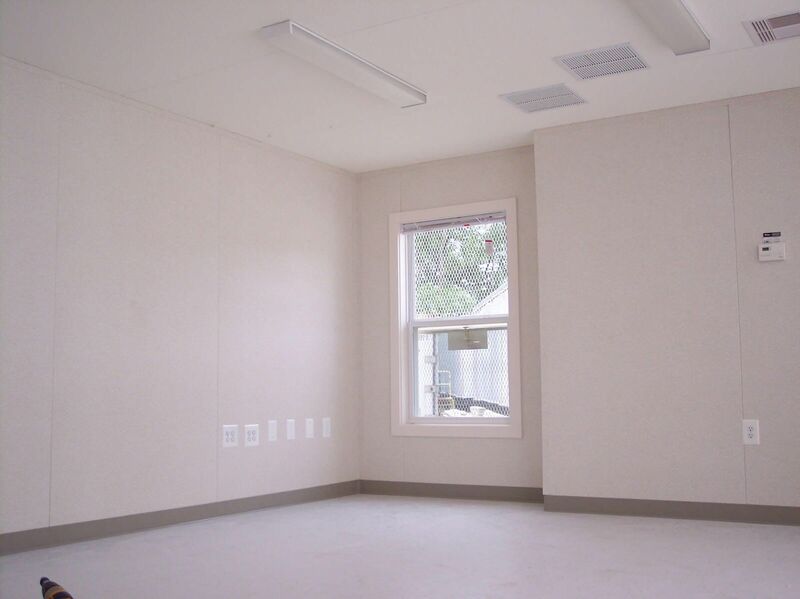 The remaining classrooms and restrooms had a hard sea spray ceiling. 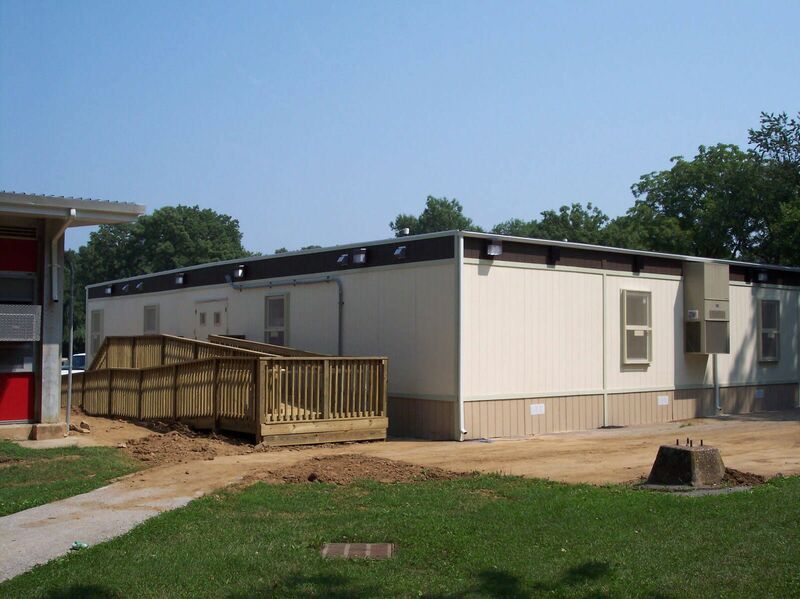 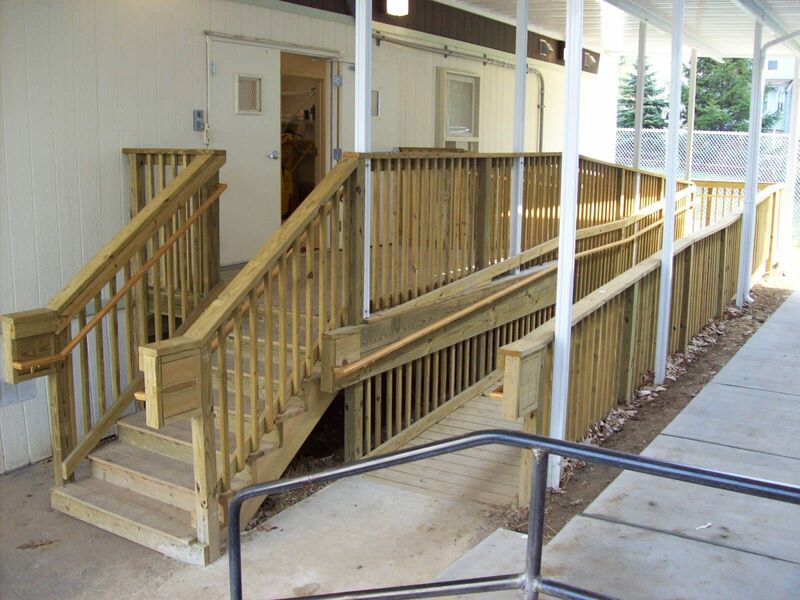 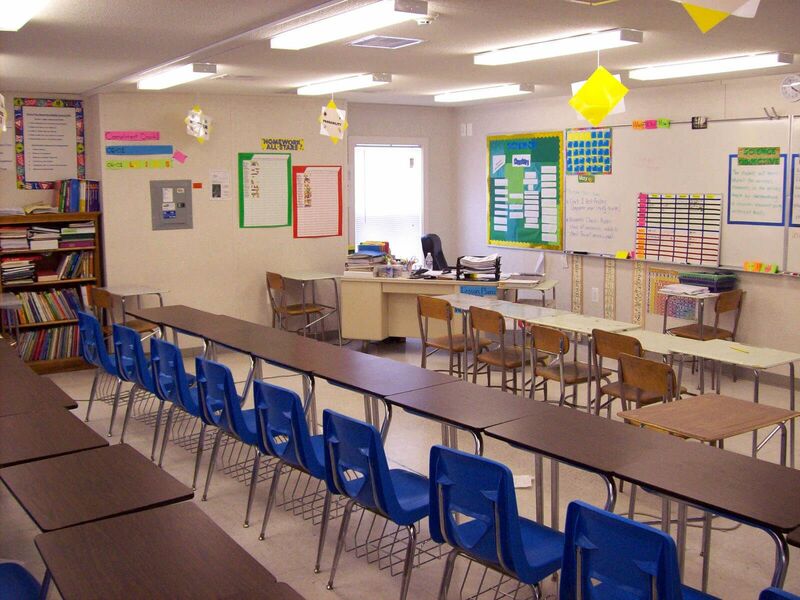 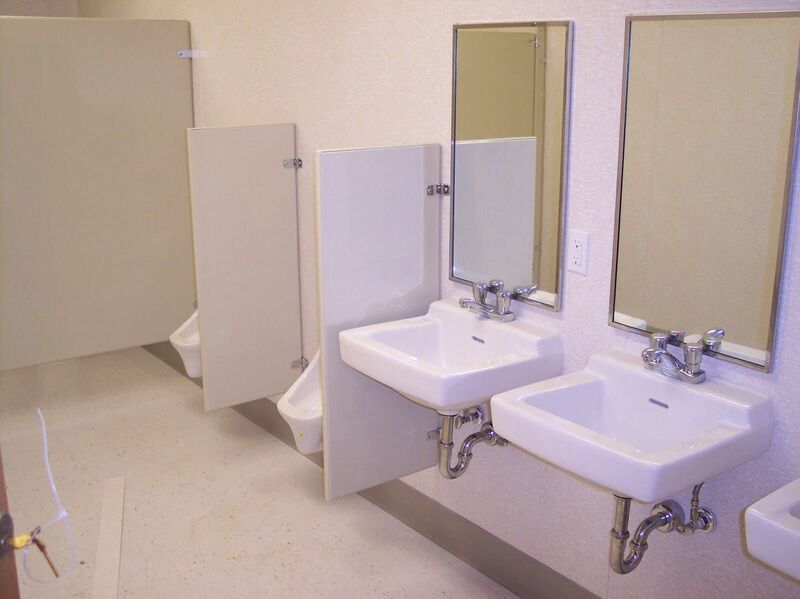 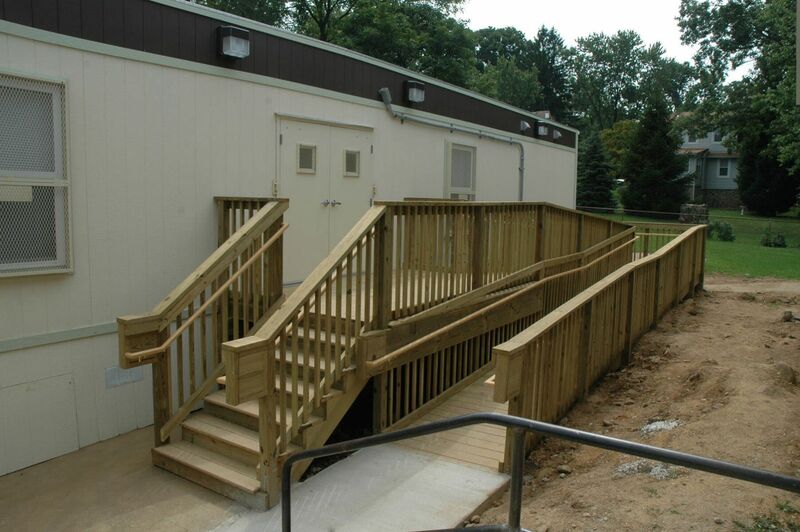 The buildings were produced in a cost effective manner to mirror similar class¬rooms which were installed by Modular Genius, Inc. on other Baltimore City Public school campus thus cutting down on engineering design and manufacturing time. 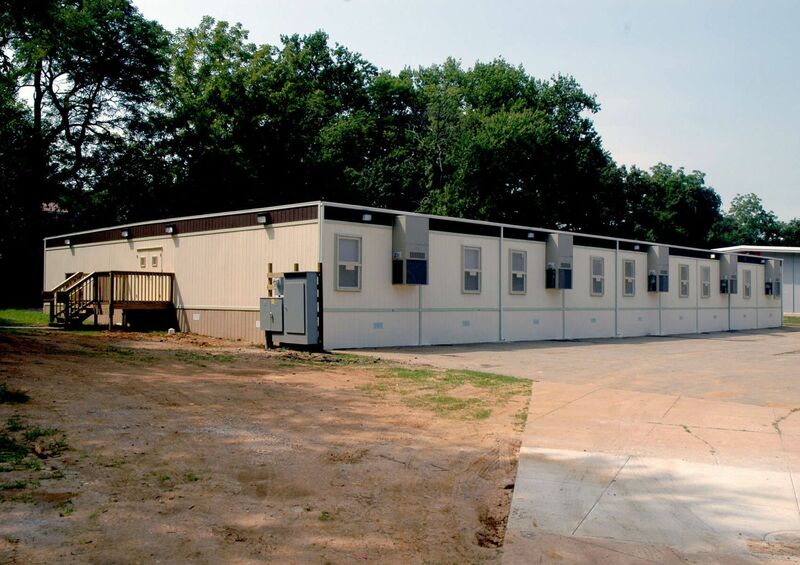 Energy efficiency has accomplished by constructing the building with (a) R-19 Insulation in the floor, (b) R-19 Insulation in the exterior walls, (c) R-19 Insulation in the roof, (d) The HVAC system had programmable thermostats with 24 hour 7 day timer for exhaust fan control (e) commercial room ventilators (f) double insulated clear glass windows.